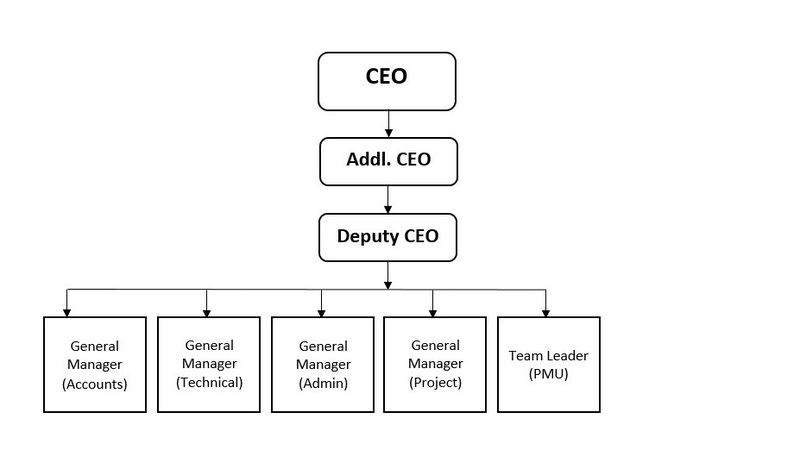 To ensure proper functioning of GUDM, three separate administrative bodies have been constituted including a Governing Body at the top, followed by the State level Steering Committee, and finally the Executive Committee at operational level. Persons of eminence from NGOs, research institutes, etc as well as experts in the field of Urban Planning, Management, Infrastructure Development, Finance and Environment are proposed to be inducted in the Governing Body, State level Steering Committee and Executive Committee. Quality services of professionals & experts will be hired on contractual basis during as per the requirement of GUDM. A few officers from government departments will also be retained on deputation for the Mission.